The first and definitive book on the fashion of Kenneth Cole and his thirty-year career in fashion and social activism. His advertising campaigns are ubiquitous, and his footwear and fashion design capture New York urban style. Kenneth Cole jump-started his business in fashion in the most unorthodox of ways: he created a film set and pretended to make a film in order to gain access to New York Market Week. In two and a half days, Kenneth Cole Productions sold 40,000 pairs of shoes. Moments like this are par for the course when viewing Cole’s career, a truly original yet classic American success story. A Kenneth Cole Production looks at Cole’s world in fashion, from his earliest days learning the shoe business from his father to building his empire into a brand powerhouse; from creating sought-after shoes and bags to being credited with making basic black the ultimate go-to color for sleek and stylish city garb; and from the origins of his powerful ad campaigns to his vigilant social activism and his significant style and exciting pop-culture contributions to the fashion world. 100% of Kenneth Cole’s profits from this book will be donated to amfAR, The Foundation for AIDS Research. 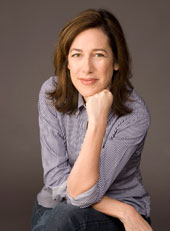 Lisa Birnbach is currently considered a "single author." If one or more works are by a distinct, homonymous authors, go ahead and split the author. Lisa Birnbach is composed of 4 names. You can examine and separate out names.